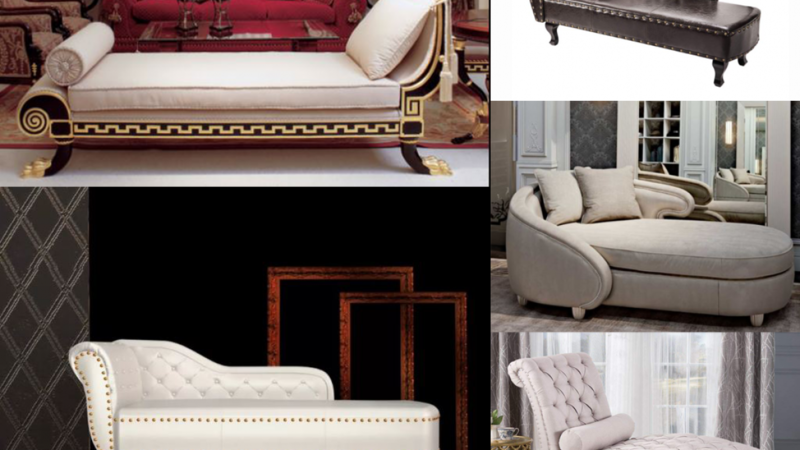 Here are 15 fancy chaise couches to chill on. A chaise lounge is the perfect spot to rest when you are reading, checking facebook or just taking it easy. 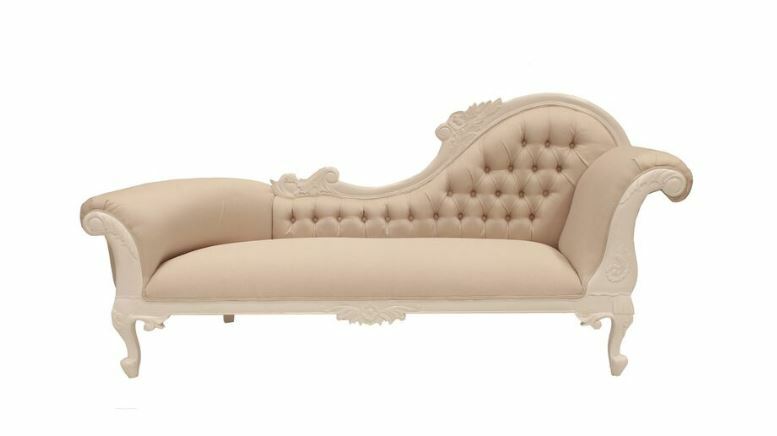 Relax in style and enjoy some downtime on a fabulous chaise that makes you feel like royalty. Relaxing is important when you lead a busy life and creating the perfect space is important. Somewhere comfortable, cosy and quiet to chill can really revitalize your energy. Decorate the area with colors, style and things that you love. It's also a good idea to have some activity nearby that helps you to zone out. Things that might work could be a crossword, a book you are reading or your ipad. 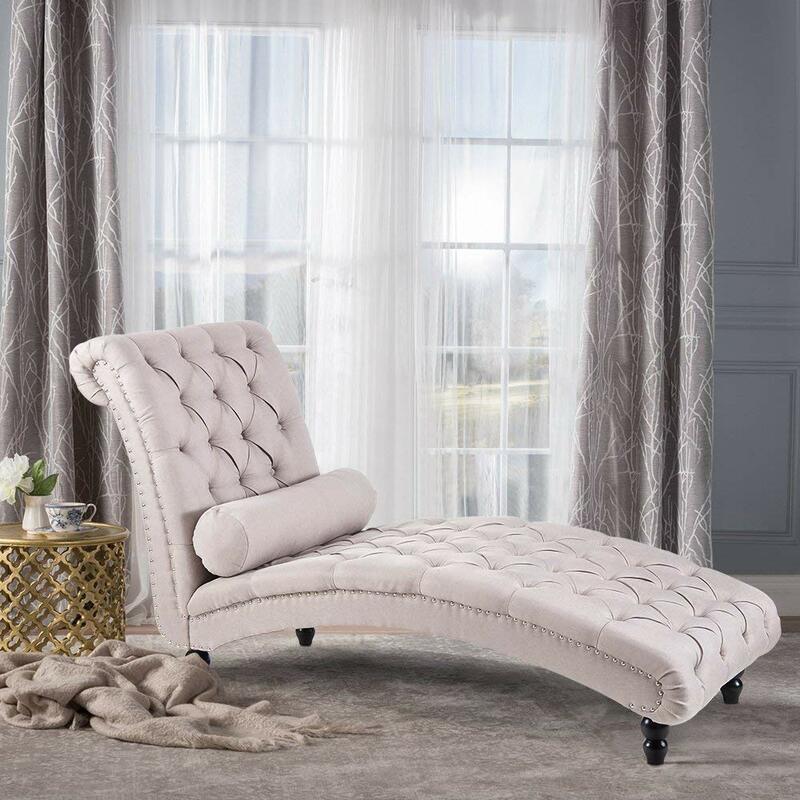 This is an affordable tufted chaise that features a row of ornate silver colored decorative nails. An elegantly styled chaise that is designed for comfort. The neutral color of this chaise means that it will probably work well with your existing decor. 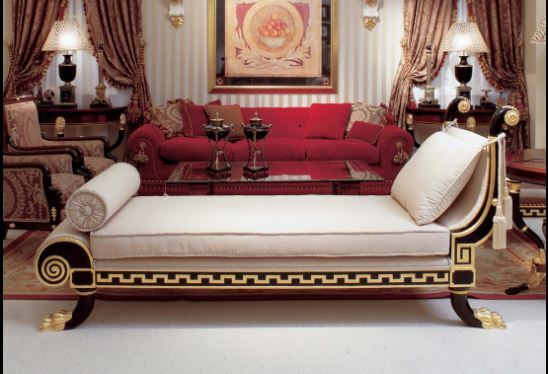 You will certainly feel like royalty when chilling out on this high end chaise. A luxury designed piece featuring beautiful powder blue velvet. 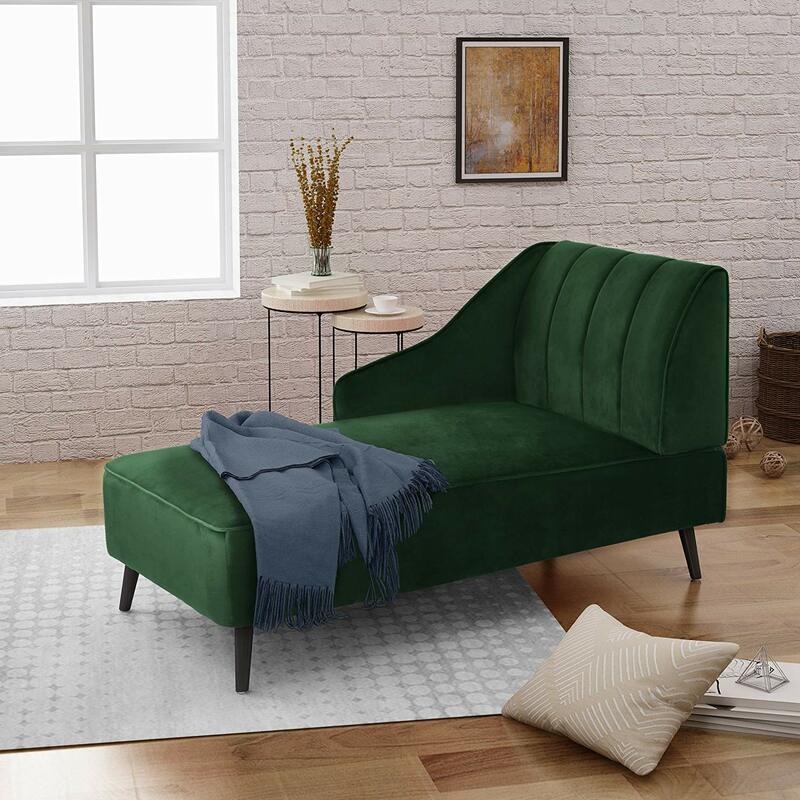 An affordable velvet chaise in a rich shade of emerald green. The legs are made of birch wood and the velvet used is 100% polyester. This shade of deep green is lovely for any season. 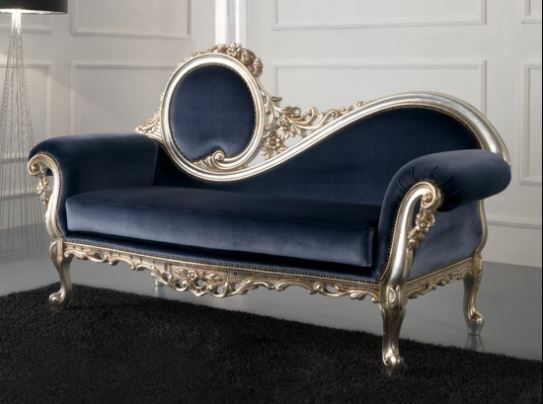 Add some neoclassical charm to any room with this classy chaise. An exclusive and elegant piece for a luxurious atmosphere. 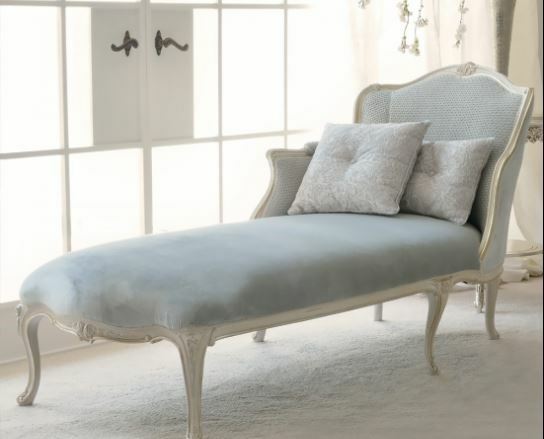 A classic french chaise finished in elegant neutral tones. To create a sophisticated look team it with a french style coffee table or side table. 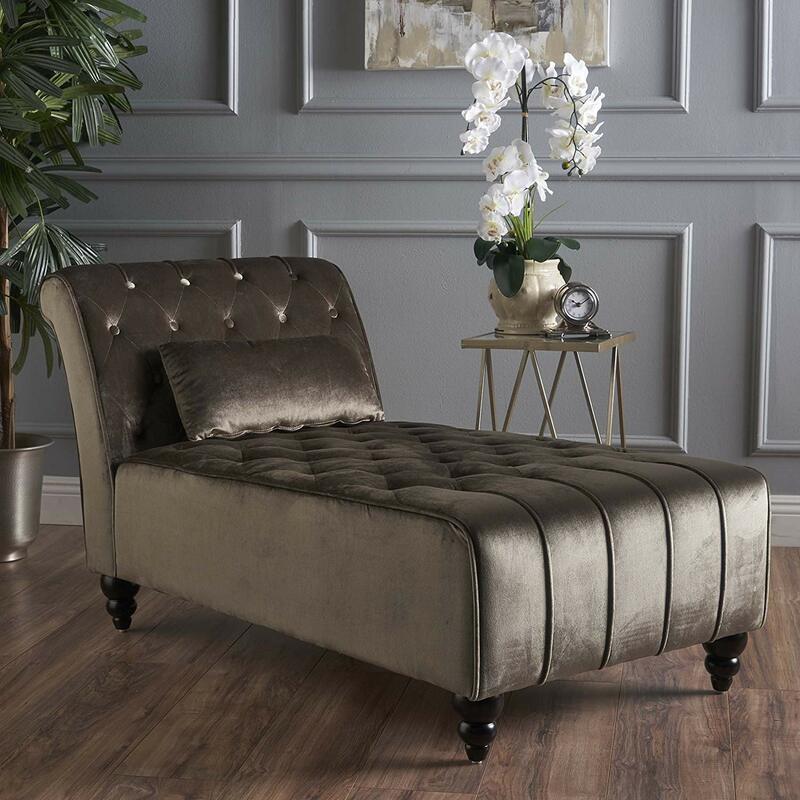 Enjoy the luxury of velvet and some much needed down time on this beautiful chaise. It is curved to provide maximum comfort and features birch wood legs. 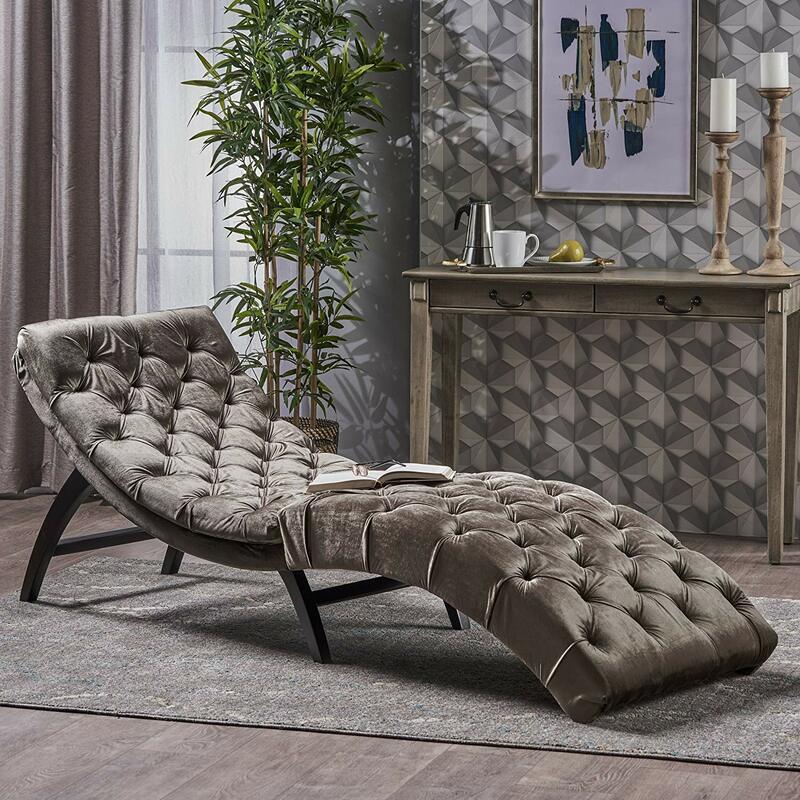 This chaise features an elegant and modern design that is quite sophisticated. It is padded luxuriously to provide soft comfort. You do not need to spend thousands of dollars in order to own a beautiful chaise sofa. 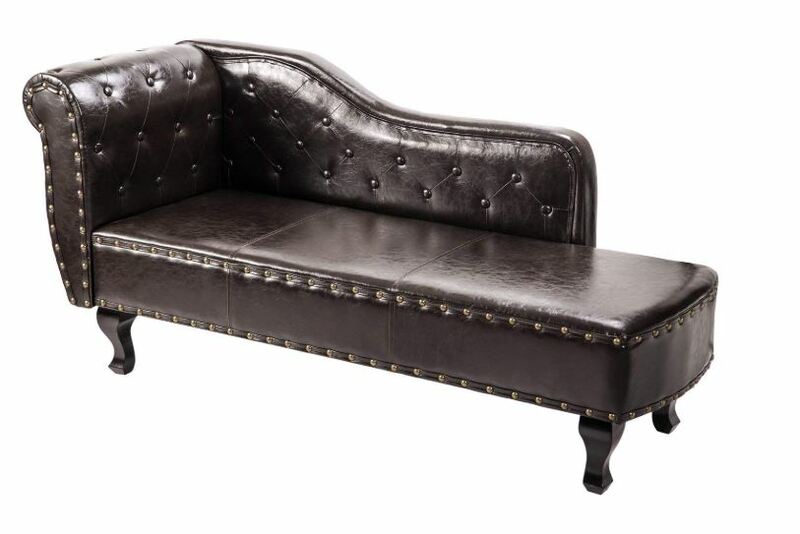 This antique chesterfield style chaise is budget friendly and beautiful. 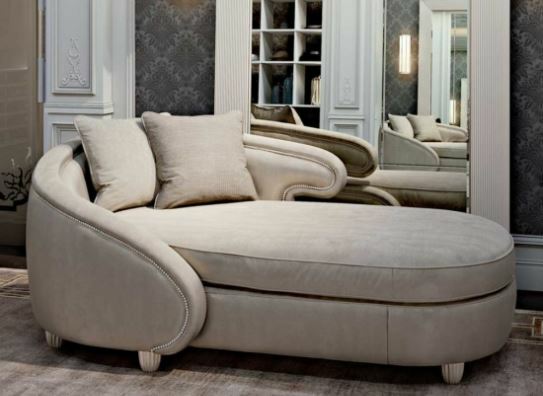 A luxe chaise with solid construction that is available in two colors. Sure to suit any existing decor and give you a great place to relax. A plush corded chaise covered in soft feel velvet. 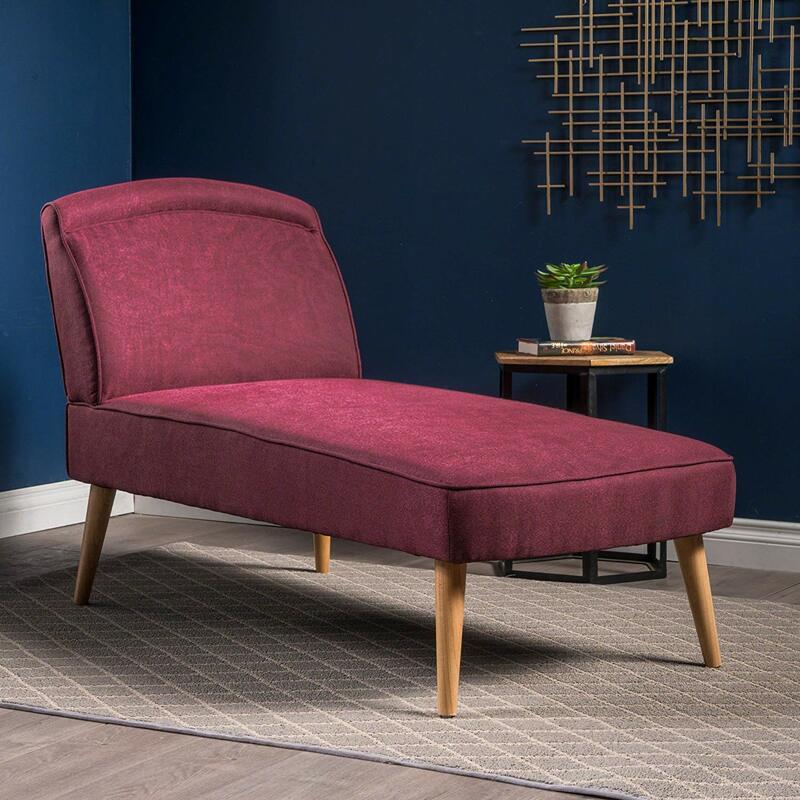 This chaise features a versatile design that will suit almost any style of room. 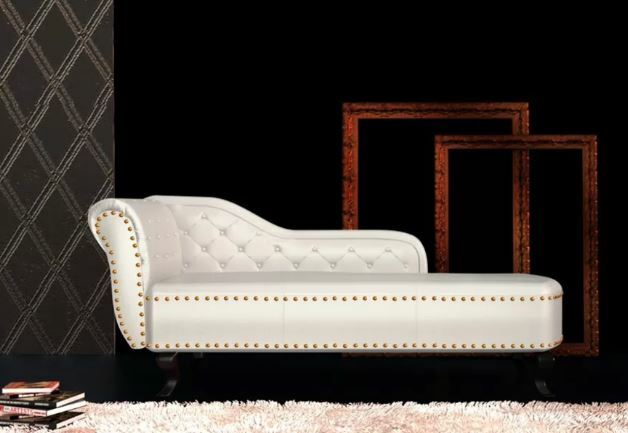 Relax or take a well earned nap on this beautiful tufted chaise sofa. It features a mid century modern design and the cushion is included. The frame is hardwood and the upholstery is tufted blue velvet. 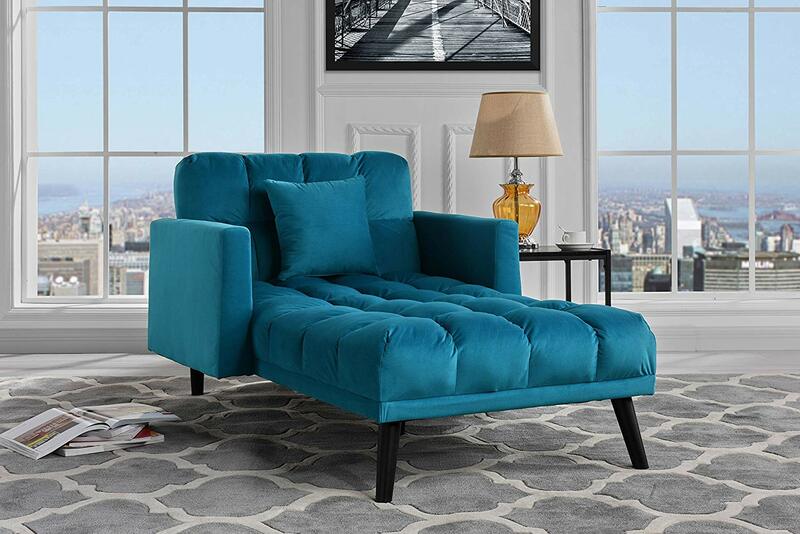 If you like a classy elegant look this chaise is perfect because it is solid and sophisticated. The metal upholstery nails are used to add detailing that looks great. 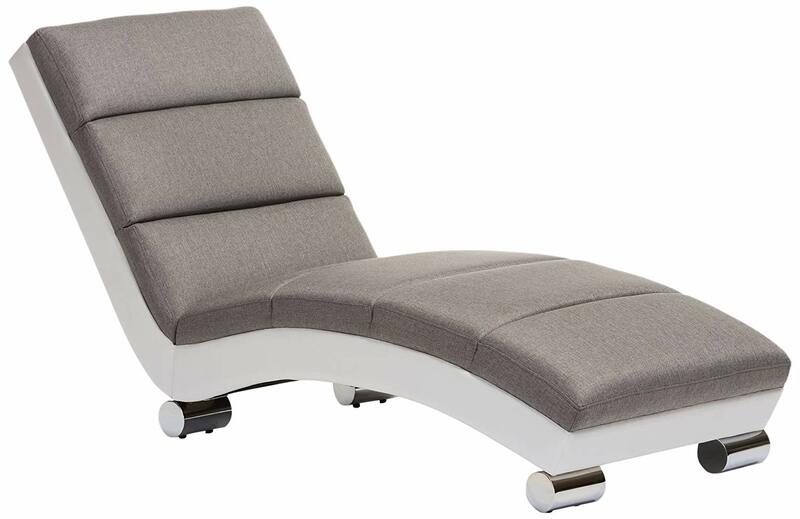 This chaise features an ultra modern looking design because the base is upholstered in white pu leather. The seat is heavily padded for comfort. This one is technically a sof not a chaise but it has many features of a chaise so will certainly do the job. The elegant baroque style is beautiful and classic. If mid century modern is your style then you will like this one because it is perfect. It will fit nicely in any space and it looks great alone or with cushions.